Have you ever tried to make an icon in Photoshop What Can Photoshop Do That GIMP Can't? What Can Photoshop Do That GIMP Can't? GIMP can do a lot of what Photoshop can do, but there are some areas it falls short. Here is a summary of the key differences. Read More — whether a favicon Your Favorite Icons: 14 Favicons That Stand Out From The Crowd Your Favorite Icons: 14 Favicons That Stand Out From The Crowd Once you start noticing favicons, you realize how much they differ. Most are boring, predictable, and instantly forgettable. But some are good enough to stand out from the crowd. Read More for your website or an icon for a program on your computer? 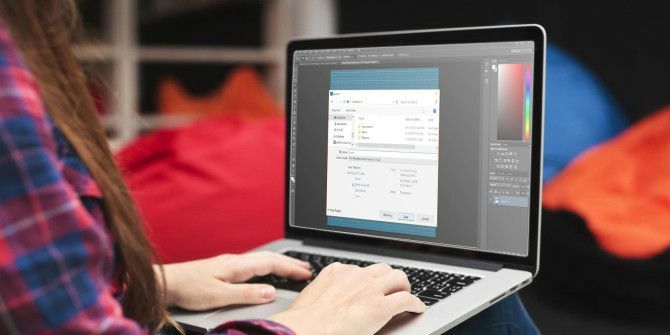 As it turns out, Adobe’s image editor won’t save an ICO file right out of the box, but that doesn’t mean you can’t create them! Here’s how it’s done. First, head to Telegraphics and download the file ICO (Windows Icon) Format. It’s available for Windows and Mac. Make sure to download the 32-bit or 64-bit file that coincides with your system. For me, the File Formats folder wasn’t in my Plug-ins folder, and if it’s the same for you, just create a new folder. Now, go into Photoshop and make a new document and select Save As. Scroll through the list of formats, and you should see .ICO in the list now. If it’s missing, make sure your file is 256 x 256 pixels or smaller, as the ICO format doesn’t support images larger than that. Do you use ICO files in Photoshop? What have you made? Share with us in the comments! How about a similar article for GIMP? It doesn't even need a "plugin"...ICO files are natively supported, IIRC.